Support Our Fire Departments With Just a Click! The Lions Club has affiliated with six firms that are used by Rappahannock residents and that have offered to work with us to improve our community. This means that, if you purchase anything from any of these vendors after linking through our site, a percentage of the purchase price (usually four percent) comes back to the Lions Club. We pass back 100% of this amount to the fire and rescue squads of Rappahannock County. Over $9,000 has been given to the fire and rescue squads so far! So do yourself a favor and do your community a favor. Choose to shop at one of these community-minded businesses. And when you do, shop through us. Just click on the symbol below, then go about your shopping as normal. Even if your purchase doesn’t qualify for one of the special offers below, just linking to the store through our site will result in a donation to the Lions if you make any purchase. If you choose not to buy now, please return to this page and link into the site again when you are ready to purchase. As long as the purchase is made after linking through us, we will receive funds to support our fire and rescue squads. Take a second now to bookmark this page, so you can easily and quickly return whenever you need to shop. If a button does not work properly, please contact the Lions Club here. Feel like shopping closer to home? all of whom support the Lions Club and our community. R H Ballard & Co. 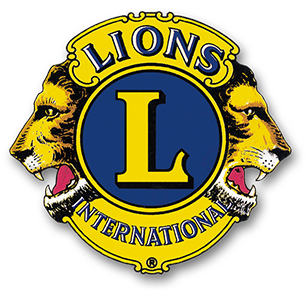 If a link does not work properly, please contact the Lions Club here.